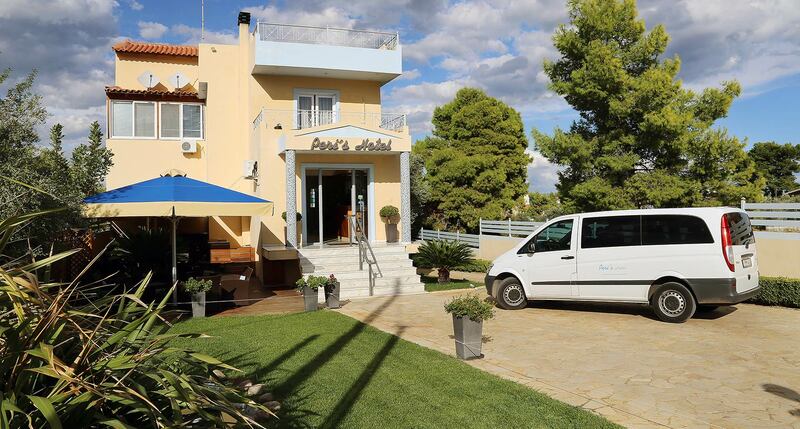 Peri’s Hotel enjoys a prime location just 10 minutes from Athens airport and Rafina Port. 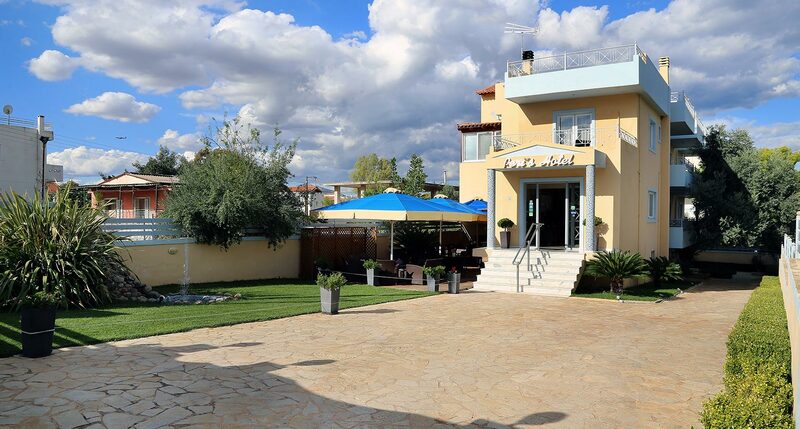 This hotel near Athens airport is also near Artemida Beach and the Artemida Town Center. Upon reading the reviews of our hotel, you will find that our guests have classified it as one of the best Athens Airport Hotels for one’s stay. Peri’s Hotel is of the few hotels near Athens airport with free shuttle from / to the airport during the times of 6:30 am to 12:15 am. Shuttle services during the times of 12:30 am to 6:30 am are offered at a cost of only 5 euros. Peri’s Hotel is situated in the area of Artemida (Loutsa) within a distance of 1100 meters from Artemida Beach and 1200 meters (15 minutes by foot), from the town center. Many of our guests select the short walking route to Artemida Town Center, where they can enjoy the many restaurants, souvlaki taverns, cafes, bars; whether they want to relax, enjoy a delicious meal or share coffee and conversation with their friends. The hotel is 3.9 km from the Athens Metropolitan Expo and can be reached by bus or taxi (with the tax fare at around 10 euros). Peri’s Hotel is 33 km from the center of Athens. Our guests can select any of the following means of transport to the center of the capital city. i) Bus: there is a bus stop within 200 meters of the hotel. The bus routes to the center of Athens operate frequently (every 10 minutes) and the ticket is priced at 1.40 euros. The route duration is approximately 30 minutes.